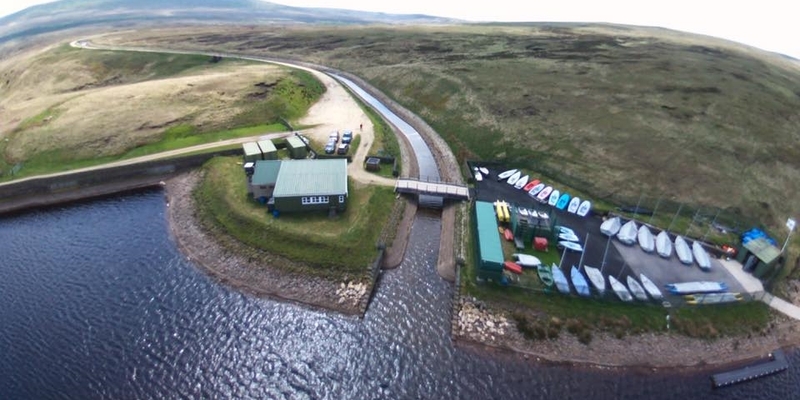 Welcome to Green Withens Watersports Centre. Rafting: Test your pioneering skills! In teams you will build a raft from pioneering poles and barrels. Your knots will then put to the test as you venture out onto the water. Bellboating: Paddle as a team! Nine metres long and 1.4 metres wide, the Bell Boat leads the way in paddlesport safety and stability. Its twin hull design with central non-slip deck area seats up to eight adults or up to twelve children with a helm. Sailing: Harness the power of the wind! Green Withens is an RYA Training Centre. We regularly run RYA dinghy sailing courses for both complete novices and experienced sailors. Rowing: Fitness can be fun! Green Withens is now a British Rowing Training Centre and has a fleet of six new single scull boats, plus a double sculls. From the beginning of May there will be the opportunity for those aged 18 and over to row at Green Withens. Sailing and Bellboating on Tuesday evenings and Sailing Friday evenings. Rafting and Rowing on Monday and Thursday evenings. Three different activities on Saturday. Sailing courses for Scouts & Guides - from Beginner to Advanced. Sailing courses for Explorers, Guides & Adults (Network, Parents & Leaders). Beaver & Parent Bellboating days. Cub Water Activity days. Scout Dragon Boat Badge Day. Single & Double Scull Rowing for Explorers and Adults. Special District and County events by arrangement. Adventurous Activity Permit training and assessment. All of our courses are open to members of Girlguiding UK!